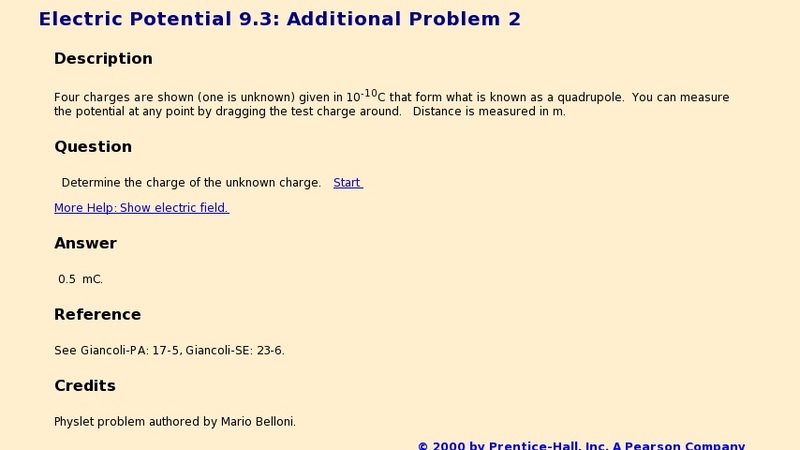 Four charges are shown (one is unknown) given in 10-10C that form what is known as a quadrupole. You can measure the potential at any point by dragging the test charge around. Distance is measured in m.